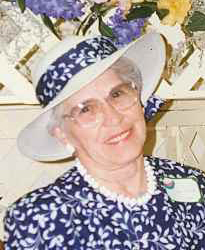 Remembering Norma Joyce Politte | Remembering Norma Joyce Politte | De Soto Obituary Search | Dietrich-Mothershead Funeral Home, Inc. Remembering Norma Joyce Politte | De Soto Obituary Search | Dietrich-Mothershead Funeral Home, Inc.
Norma Joyce Politte was born on February 9, 1926 in Swifton, AR. She was the daughter of Alvin & Lena Elizabeth (nee Hancock) Vohn. 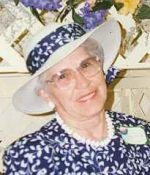 She died on April 9, 2019 at Baisch Nursing Center at the age of 93. She is survived by her children, Joseph (Mary) Politte of Festus, MO; Ronald (Linda) Politte of Festus, MO; and Patricia (and the late Jim) McPeters of Festus, MO; her siblings, Jim Hudson of Charleston, NC; Vohndell Montilione of Yakima, CA; Diane Manuel of Battleground, WA; and Carol Gonzalez of Marion, IA; several grandchildren, great grandchildren, and great-great grandchildren. She was preceded in death be her parents, her husband Everett Joe Politte, one son, Frank (the late Jan) Politte; siblings, Mazie Matis; Wilma Anderson; Garland Hudson; and Mary Nelson. Joyce was a member of the First Free Will Baptist Church. Bro. Bob Thebeau will officiate the service.